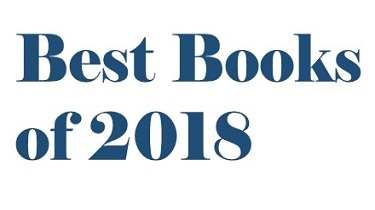 See a sampling of "Best Books of 2018" in the Castleton Library catalog, ready to be checked out! Check the Vermont State Colleges libraries' catalog to locate or request books. The Castleton library doesn't own all of the books on the best books lists, but if there are some you think we should purchase, let us know. To borrow an item owned by the Johnson, Lyndon or Hartness libraries, click on "Place Request (Castleton)" and log in. To request a book found in the Library Catalog, but held at another VSC library, click on "Place Request (Castleton)." For books not available in the VSC library system, search WorldCat (access from library website or research guide or this link) for the book and click on "Request Item through Interlibrary Loan," or use the Interlibrary Loan Request Form to enter information about the book (you will be prompted to log in to our Interlibrary Loan System using your Portal username and password). Pay attention to your Castleton email for follow-up.